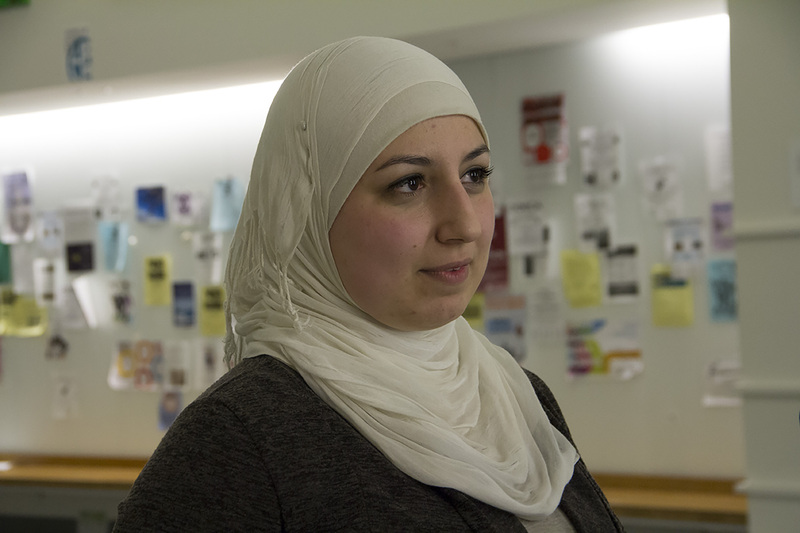 When UConn sophomore Reiham Barmo was first told that three Muslim students had been killed in North Carolina, she didn’t believe it. But then Reiham received a call from her mom. Reiham’s dad was also concerned that by wearing her hijab, Reiham would be putting herself at risk. 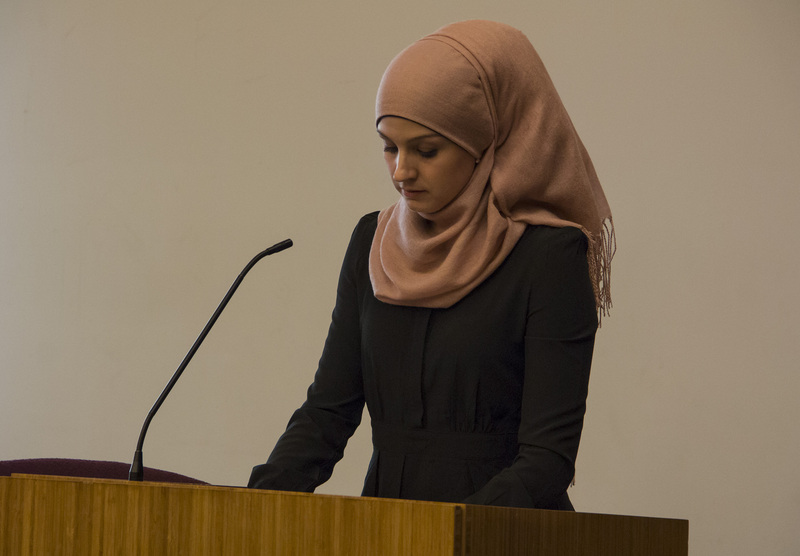 Reiham was one of the many students who spoke to an audience of over 200 on Monday night to honor the lives of 23-year-old Deah Shaddy Barakat, 21-year-old Yusor Mohammad Abu-Salha and 19-year-old Razan Mohammad Abu-Salha who were killed on Feb. 10 in Chapel Hill. UConn alumna Rebecca Minor, a member on the board of the Muslim Coalition of Connecticut, spoke about the lessons that can be learned from the shootings. Minor stressed the importance of taking the high road, even when it’s the more difficult one to take. “It is our job to meet ignorance, suspicion and hostility with love, mercy and kindness,” Minor said. UConn Dean of Students Eleanor Daugherty said events in recent days, weeks and months served as a reminder that lives matter.